Executive producer Eli Roth (who helmed the original movie) presents this reboot of his instant classic gorefest, which features all new characters and all new kills. The story is familiar: fresh out of college, a group of five friends retreat to a remote cabin in the woods for one last week of partying—only to become snacks for a gruesome, flesh-eating virus. What’s surprising are the ingenious new deaths, which offer a fresh spin on a horror-comedy milestone. 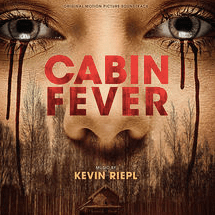 The movie soundtrack of Cabin Fever will be released on March 1, 2016 by Sumthing Else Music Works.